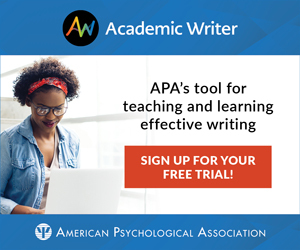 A group of eminent psychological scientists articulate a cutting-edge model for training in clinical science in a new special series of articles in Clinical Psychological Science, a journal of the Association for Psychological Science. The model — known as the Delaware Project — reenvisions the way in which clinical scientists are trained, and proposes a new way of developing and implementing clinical interventions that integrates clinical practice with the latest scientific research. Together, the five articles that comprise the special series represent a cutting-edge vision that “could change the nature of clinical research and convey how stellar science can translate to great clinical care,” notes Alan E. Kazdin, Editor in Chief of Clinical Psychological Science and John M. Musser Professor of Psychology and Child Psychiatry at Yale University, in his introduction to the series. “[In] many ways, science and practice are two continents separated by a vast stretch of water,” says Kazdin. 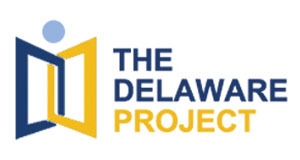 The integrated model offered by the Delaware Project is especially important as clinical scientists continue to make advances in the description, diagnosis, and treatment of clinical dysfunction. Series Editor and APS Board Member Varda Shoham and colleagues provide background of the project and its development, including the context, process, and key features. APS Fellow Lisa Onken and colleagues articulate a framework for intervention research and its many steps, from understanding mechanisms of change to developing implementable interventions that will be useful in clinical practice. APS Past President Robert W. Levenson describes a problem-based learning approach that will prepare clinicians to adapt to changes and advances in assessment and diagnosis. APS Fellow Marc Atkins and colleagues advocate for a public-health focus to clinical training that integrates current and future needs for mental health care, recognizing the enormous burden of mental illness worldwide. APS James McKeen Cattell Fellow John R. Weisz and colleagues discuss how to address the significant gap between developing effective interventions and actually disseminating and implementing such interventions. How is this ‘new’ Deleware Project different from, or how does it improve on, the Boulder Model created early in the last century?